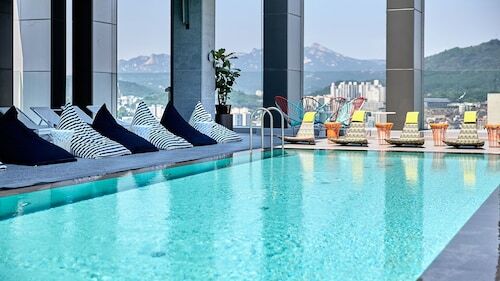 Buy a Seoul holiday package on Expedia today! This is one of the best ways to save time and money for your amazing adventure. Crafty travellers can gain savings of up to 59%* by getting a package deal on Expedia. Pick from more than 400 partner airlines and 321,000 worldwide properties via our extensive database of accommodations and flights. Fly with who you want, stay where you like — now that's the perfect holiday! If you change your travel plans, we'll honour your cancellation request on almost all bookings with no extra fee. It's nice to just wander the streets when you're in a new destination, but sometimes it's wise to form a plan. 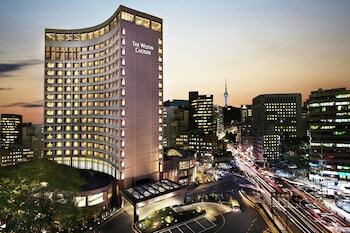 Grab your travel schedule — we have plenty of awesome ideas for your impending Seoul holiday. 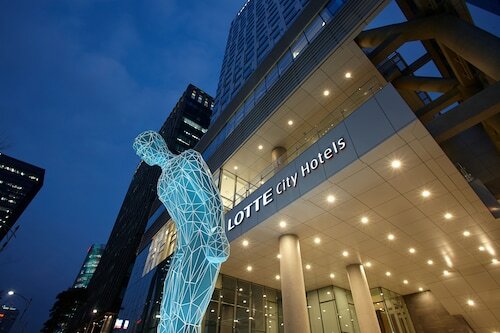 With so many renowned attractions in the one place, you certainly won't be twiddling your thumbs in Seoul! 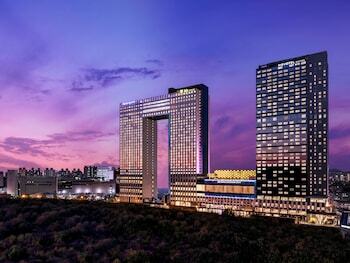 First things first, make sure you take some selfies in front of Dongdaemun Market and Gyeongbok Palace. When you've finished with those, you'll still have the COEX Convention and Exhibition Centre and the National Museum of Korea to check out! Memorial sites remember lives cut short and past tragedies. Stop by War Memorial of Korea and take a moment or two for some quiet reflection. Travellers in this destination have a great range of options. Many powerful people have lived in Changgyeonggung Palace over the years. If you've ever dreamt of living like royalty, don't miss seeing this stately building. Still got some time on your hands? Many powerful families have resided in Changdeokgung Palace over the years. If you've ever daydreamed about living like a king or queen, don't miss this impressive building. Life is either a bold adventure or nothing at all, so why not plunge into some new and memorable experiences? 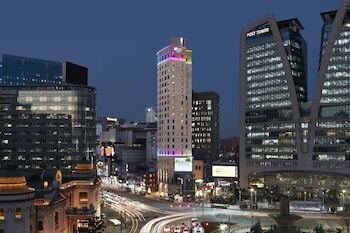 Check out the Seoul things to do page for a complete list. Seeking out luxury getaways and cheap holidays? 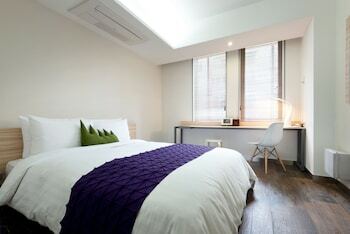 Take your time and select from the 1,080 accommodations in Seoul. 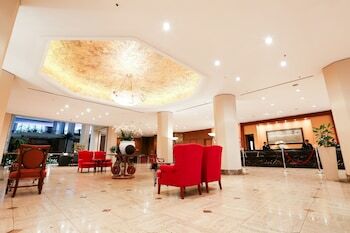 Book straight away if you're looking to get the hottest deals in the nation's capital! 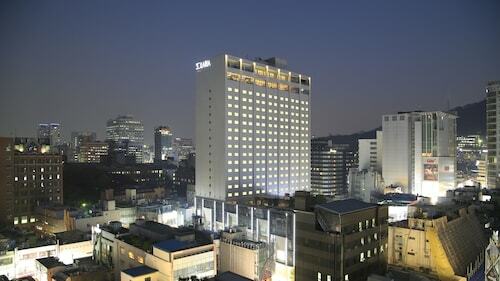 Gimpo International Airport (GMP) can be found 10 miles (16 km) west of the middle of Seoul. Pull your bags off the carousel, hail a taxi and get this holiday started! 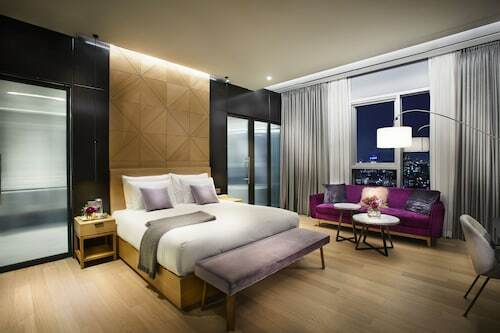 This hotel is located in Seoul (Gangnam), where area attractions include COEX Convention and Exhibition Center, National Museum of Korea and Namsan Park. Area attractions also include N Seoul Tower and Dongdaemun Market. 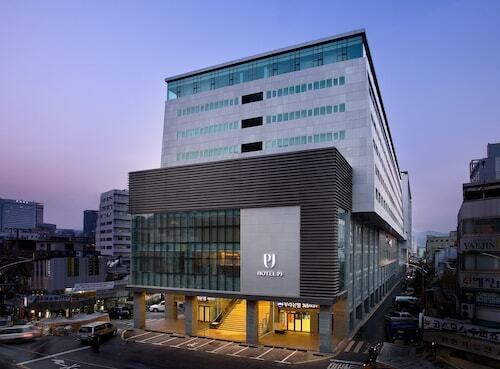 Located in Mapo, this hotel is 1 mi (1.6 km) from YG Entertainment Building and 1.4 mi (2.2 km) from Ewha Woman's University. 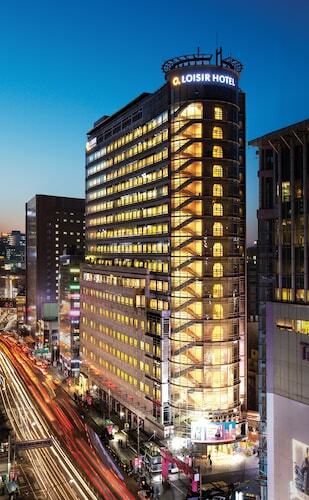 Seoul City Hall and Gyeongbok Palace are also within 6 miles (10 km).